It was my husband’s last day of teaching on Wednesday (finally! ), and it is now officially summer in this household. I am definitely looking forward to things slowing down a bit. Furthermore, I love the fact that Ryan is now home for lunch everyday. Seeing as I usually spend the noon hour eating a sandwich in front of the computer while working on a chapter, I find it exponentially more enjoyable to share a meal and conversation with Ryan. Summer for the win! 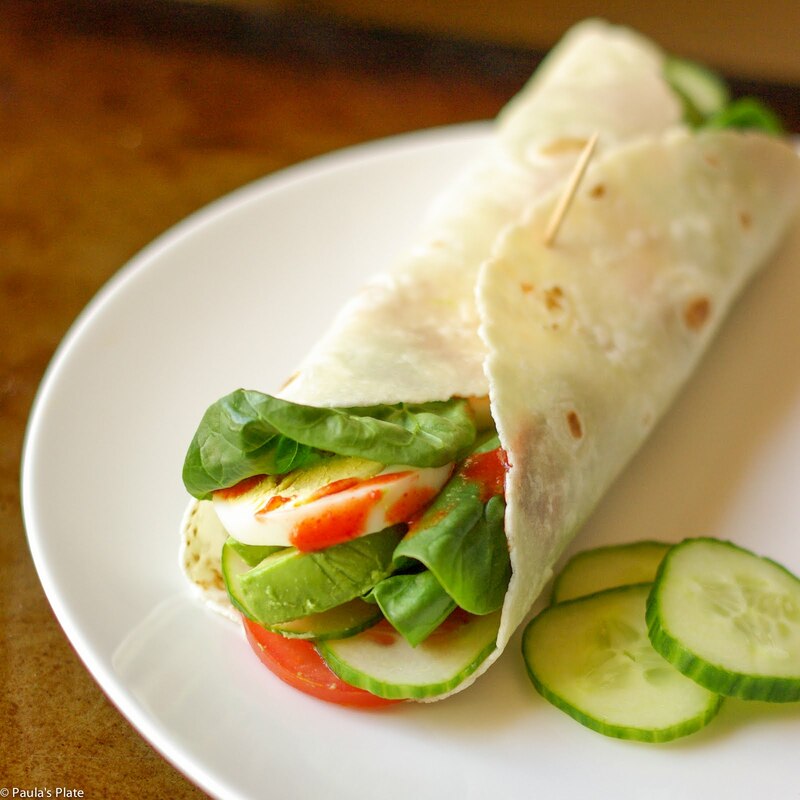 Today I’m sharing with you a quick and easy wrap that is delicious for either breakfast or lunch. 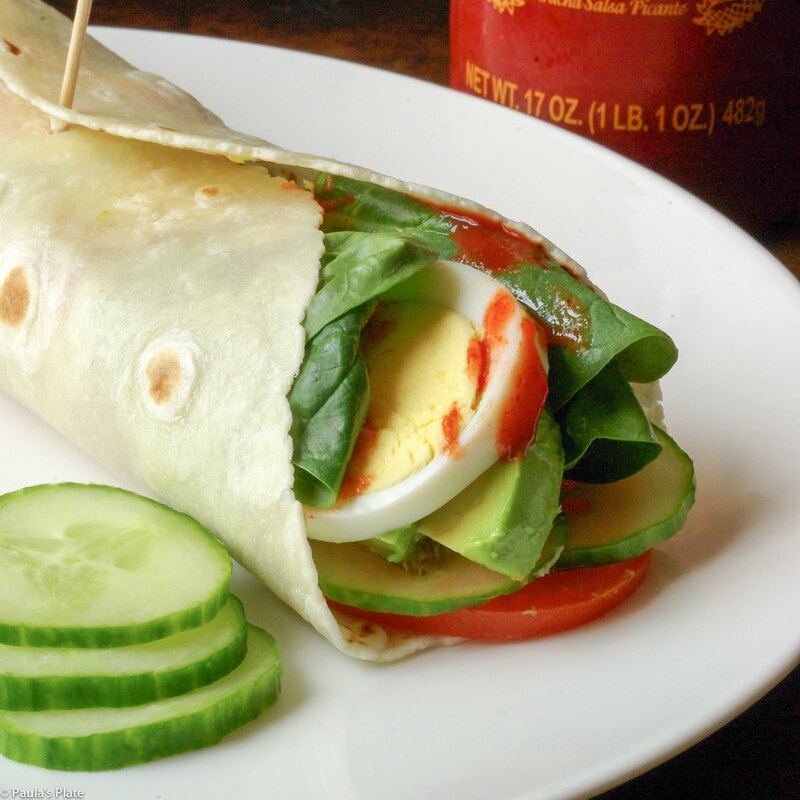 Filled with creamy avocado, protein rich eggs, and spicy sriracha, this wrap is packed with flavor. Plus, toting both vegetarian and gluten free labels, it is sure to satisfy even the pickiest of eaters. So the next time you are searching for a fun alternative to your usual turkey sandwich, need to use up some eggs or leftover avocado, or simply want something delicious to eat, give this wrap a try. You’ll love it. What are you most excited to do this summer? Let me know below! 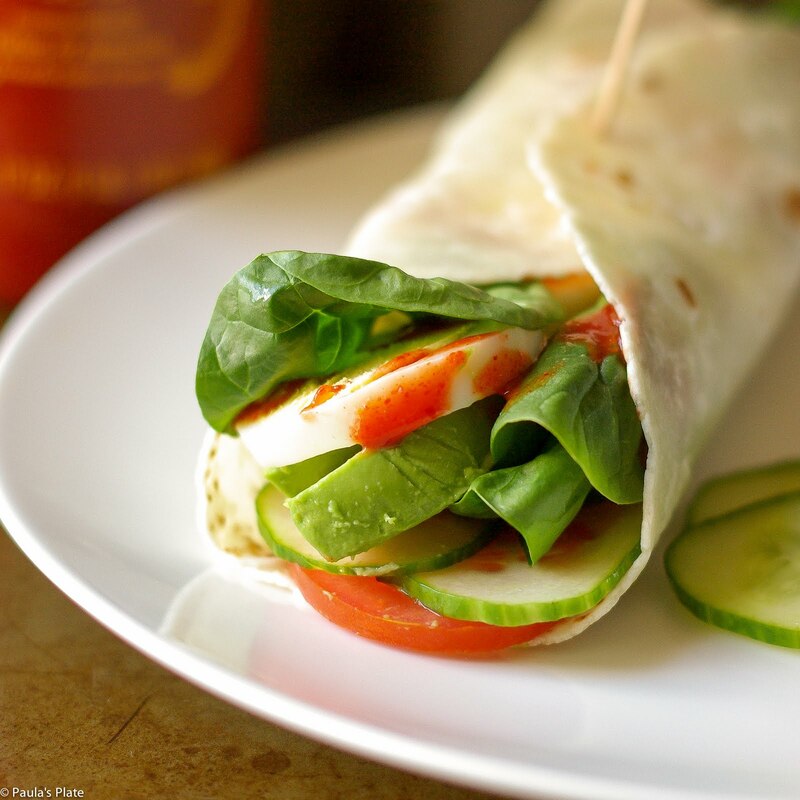 Divide each wrap with first five ingredients and distribute evenly over wraps.